Poland's ruling eurosceptic Law and Justice (PiS) party is on track to win the top spot in the regional election. 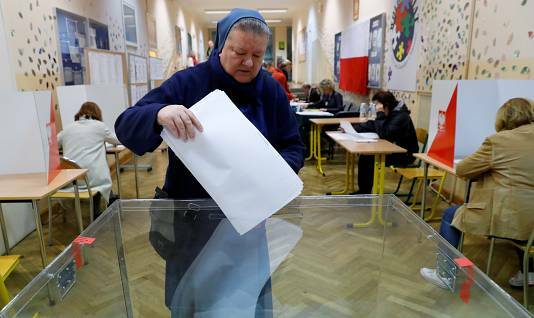 An Ipsos exit poll showed the Pis party won four assemblies with 32.3% of the vote in Sunday's election. Sunday's poll also showed a coalition of centrist opposition parties was set to win some 24.7% of the vote. The populist party swept into power in 2015, promising voters welfare reforms, social conservatism, and a bigger state role in the economy. However, it has been accused of shifting towards an authoritarian rule and believed the EU's powers should be limited. 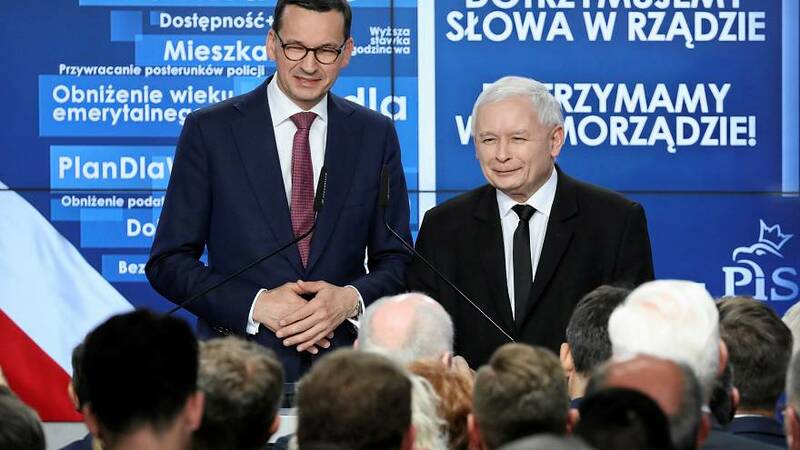 It has already had a fallout with the bloc over Poland's court system, which the EU says breaches its laws by undermining judicial independence and the rule of law. However, in the mayoral race for the capital Warsaw, the Pis candidate, Patryk Jaki, came in second place to the pro-EU centrist Rafal Trzaskowski. Final election results for all 16 assemblies will be released by the electoral commission by the middle of the week. Any gains could affect a general election next year, as controlling more assemblies leads to better access to local funding and more party influence over regional affairs.